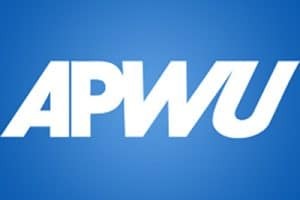 10/18/2018 – The previously announced payroll issue caused by a faulty computer program and affected 88,782 APWU represented bargaining unit employees in the Clerk, Maintenance, Motor Vehicle Service and Support Services crafts. We are asking that all employees examine their paystubs and verify that they were paid correctly for both regular, leave and overtime pay. Previously, management had told the APWU that they would not be doing emergency salary advances for employees who were shorted pay. 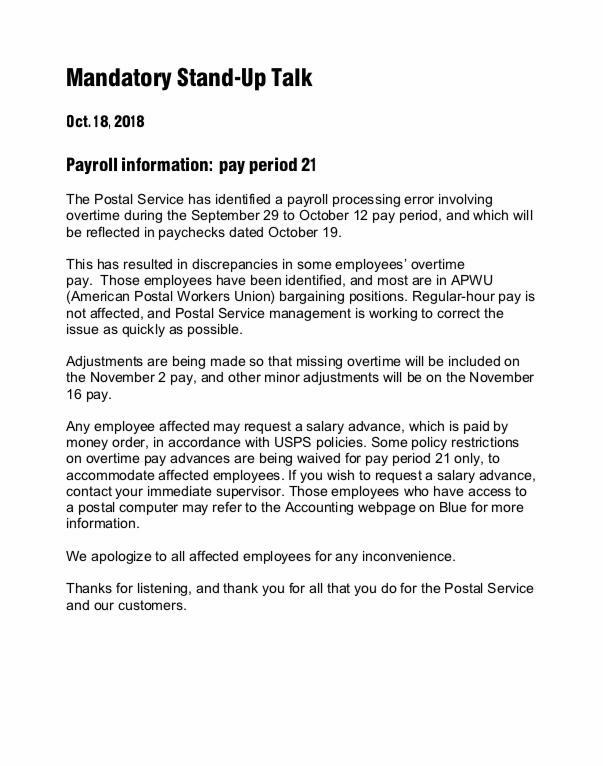 After multiple discussions and insistence from the APWU leadership, the USPS announced that they will be giving salary advances to any employee shorted pay who requests an advance. Employees must request the advance from their immediate supervisor. The APWU was notified of the following stand-up talk informing the employees of this option. If you seek a pay advance and are denied this option, please immediately contact your local or state union representative. This entry was posted in General Union Business and tagged APWU Web News Article, emergency salary advances, faulty computer program, management incompetence, pay adjustments, pay checks, Payroll Issue. Bookmark the permalink.